A legislative act passed in year 1996, called HIPAA or in other words the Health Insurance Portability & Accountability Act affected the health care administration. For years, we have researched upon the safety rule along with three types of security safeguards based mainly on technical and physical grounds. Amongst the above mentioned three safety points, we delved at the administrative safeguards and its obligatory as well as addressable implementation specifications. In this article, we will examine the main key factors pertaining to the technical and physical safeguards of the security rule. The motive of this article is to simplify and state the main concepts of HIPAA Privacy Rule's De-Identification Standard. Physical safeguard rule laid by the HIPAA Privacy Rule's De-Identification Standarddeals with the strategies and procedures required to be implemented in order to control physical admission to systems or devices containing health information and facilities covering electronic records. It is therefore mandatory to take maximum care when beginning and removing hardware and software that deals with secured Health Information (PHI) from the network. Utmost care must be taken in disposing off any equipment which is on the edge of retirement, so that PHI contained within such systems is not compromised. Health data stored in the equipment must be controlled and monitored carefully. Access to the hardware and software must be operated by proper trained and authenticated individuals. Make sure that workstations must be situated away from high traffic areas to avoid direct view of the monitor screens to the public. The main person taking the services of contractors and agents must assure that the contractors and agents are professionally trained and are aware of their duties and responsibilities. Technical security measures deals with factors that require to be executed when transmitting health information electronically over open networks in order to ensure that health information do not go into wrong hands. Responsible entity must follow a strict procedure to make sure information integrity which includes digital signature, check sum, message confirmation. Drafting and maintaining all policies implemented and practices followed for HIPAA Privacy Rule's De-Identification Standard that needs to be presented as and when required by the compliance auditors. We cannot ignore with the healthcare compliance, as it becomes essential to safeguard Protected Health Information. It is required to employ a system that will take utmost care of the health information, for this our heath care providers like doctors, hospitals and health plans must be given a unique identifier. At present most of them are using either tax-id numbers or employer identification number. 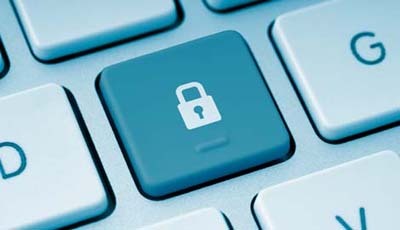 The security and privacy rules have laid down certain provisions to assure that the personal records of people is not misused, secured and kept confidential, any person failing to follow the rule will be fined up to $250,000 and possible jail time for severe enough violations by HIPAA. HIPAA rule was indeed designed and created to ease the massive process of health care administration. Physical safeguard rule laid by the HIPAA Privacy Rule's De-Identification Standard deals with the strategies and procedures required to be implemented in order to control physical admission to systems or devices containing health information and facilities covering electronic records.